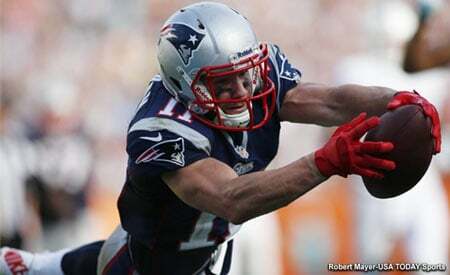 Activity stream for all registered members at New England Patriots Forums - PatsFans.com Patriots Fan Messageboard. Tony2046 liked Deus Irae's post in the thread Official Day 1 2019 Draft Thread. Tony2046 liked BlueThunder's post in the thread Official Day 1 2019 Draft Thread. farn rated Gronkowski123's post Agree in the thread Breaking news - Tyreek Hill announcement..
Tony2046 rated TBR's post Funny in the thread Official Day 1 2019 Draft Thread. mrscruff replied to the thread Welcome To The Pats N'Keal Harry. Tony2046 rated VJCPatriot's post Useful in the thread Official Day 1 2019 Draft Thread. robertweathers replied to the thread NFL Draft: Day 2. PP2 replied to the thread Photo poll: how do you like the Pats' day 1 pick?. Gronkowski123 replied to the thread Breaking news - Tyreek Hill announcement..
Tony2046 liked BradyFTW! 's post in the thread Official Day 1 2019 Draft Thread. robertweathers rated Nunchucks's post Agree in the thread NFL Draft: Day 2. Yeah, everybody said Bently was slow... and then we watched him and holy sausages, the guy is all over the field. Nunchucks replied to the thread NFL Draft: Day 2.
robertweathers rated Gronkowski123's post Agree in the thread Breaking news - Tyreek Hill announcement..
robertweathers replied to the thread Breaking news - Tyreek Hill announcement..
Snooky97 rated robertweathers's post Agree in the thread NFL Draft: Day 2.